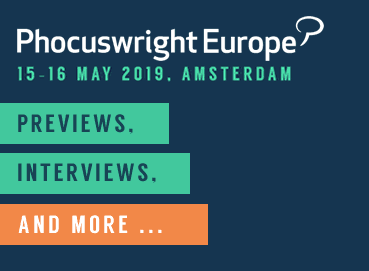 Jeroen Merchiers will take part in Executive Interview: Airbnb at Phocuswright Europe. Ahead of the event, he discusses Airbnb's 10th anniversary, sustainable tourism and the company's European ambitions. As we move into the 21st century, the way people are traveling is changing. The travel industry is now 10% of the global economy and growing fast. The days of mass travel to major tourism destinations is becoming unsustainable for both tourists and communities, and the industry has a responsibility to address this by developing tourism that is sustainable, local, authentic and diverse. It’s particularly timely for Airbnb as we celebrate our 10-year anniversary and take time to reflect over the last 10 years but also look to the future. We recognize we have a big role to play in reshaping the tourism industry, and we want to be part of the solution to bring economic empowerment to communities and to help diversify tourism away from city centers to areas that need it the most. When we started the company 10 years ago, our goal was to make it easy for people to share their homes. Now with 4.5 million homes and with over 300 million people traveling on our platform, we have grown much bigger than we ever anticipated, becoming an online hospitality company offering magical end-to-end trips. This has inevitably triggered the interest of local governments and regulatory bodies. We want to be good partners to cities and adhere to regulations, but they need to make sense and be fit for purpose, and we are confident we can work together to make this happen and find solutions that work. 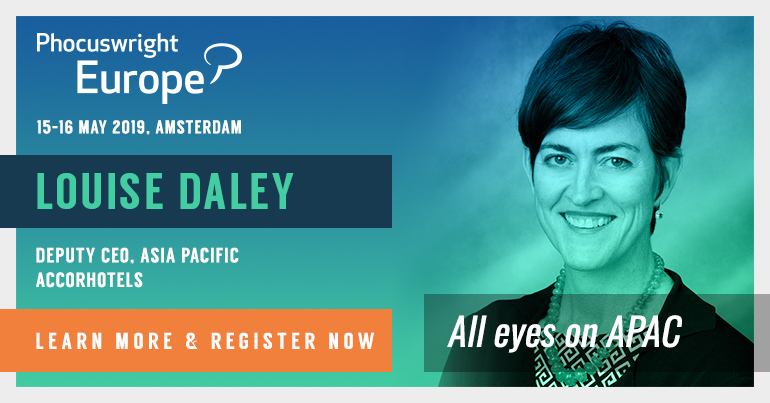 The travel industry is a powerful and successful industry, but it sometimes feels that the experiences are becoming commoditized. There is a lot we can do collectively to contribute to growing the industry sustainably in the future while also fostering travelers' trust. Our aim at Airbnb is to empower hospitality entrepreneurs, small businesses including boutique hotels, B&Bs and regular homeowners to be mindful of sustainable tourism and create unique extraordinary trips that are people-powered. Airbnb has an ambitious mission to create a world where everyone can belong anywhere and there is still much work to be done in the travel industry as a whole to break down borders and help more people to enjoy the benefits of travel. Technology and automation is one of the the biggest opportunities and also the biggest threat to society today. We have a responsibility to use technology in a way that does not displace communities but empowers them to be economically independent. Currently, up to 800 million jobs are threatened by automation, but I think this presents an opportunity to Airbnb, which is well-placed to offer economic opportunities through technology, helping communities build successful businesses and improving the habitats in which they live. And this is the next step for Airbnb as we build our platform to become a one-stop shop for travelers looking for somewhere to stay but also something to do and people to meet, essentially an end-to-end travel platform with the community at its core, directly creating the value that makes Airbnb unique. Airbnb is now a global company, but only 10 years ago, it started with just two people renting air beds in their living room, building the business from scratch and learning along the way. In my opinion, the core to any company’s success - and this is also true for Airbnb - is to focus on your customer, listen to them and continuously learn from them, iterating and updating until you have a product that 10 people love rather than a product that 100 people occasionally use. This will create a foundation for a strong and prosperous business. Airbnb CEO Brian Chesky has recently made statements that Airbnb’s competition is now OTAs like Booking.com and Expedia. How does that competition translate to the European market in particular? I’m not in the habit of discussing other companies, and I’m not going to start now, but I can tell you a little about what we’re doing. Last month, Airbnb made some big announcements about its roadmap for the future. Our goal in 10 years is to offer more than one billion people each year the opportunity to experience the benefits of magical travel through Airbnb. And we want to be an end-to-end travel platform. Airbnb has an ambitious mission to create a world where everyone can belong anywhere. Today, people are seeking an alternative to the kind of mass-produced tourism that has been around for so long. People are looking for transformative and magical experiences that have been difficult if not impossible to find. We have a global network, the technical know-how and, most importantly, the community of hosts and guests that can meet those needs. So we’re very optimistic about our future. Booking.com, meanwhile, has stated it’s pumping resources into private accommodations. What do they need to consider around things like regulations, and what advantages does Airbnb have? I think that’s a question for Booking. Airbnb is unique, as its a a people-powered platform based on building trust through its community. We also want to build strong relationships with cities to demonstrate the benefits of home sharing and to support them with concerns over housing and overtourism. Globally we have agreements with over 400 governments covering everything from tax collection agreements to short-term rental rules. We also contribute to tourist tax and have paid over half a billion dollars in tourist taxes which is then invested back into the communities. In Europe, there are clear home-sharing rules in major gateway cities including London, Paris, Amsterdam and Berlin, and we aim to boost communities by an estimated Euro 340 billion by 2020, supporting an estimated one million jobs across the region that year. We have been working hard on regulation for 10 years, and we are absolutely optimistic about the future and committed to working with governments. What are Europe’s ambitions for Airbnb’s Experiences product? Airbnb Experiences has continued to thrive. In just three weeks, we have added 7,000 new Experiences to the platform around the world and every week we are reviewing 1,200 new applications from people who want to host experiences on Airbnb. Additionally, in the last month alone Experiences has launched in over 15 new cities. In Europe, we are expanding outside cities, building out markets and introducing new categories including social impact, social dining, adventure and concerts.